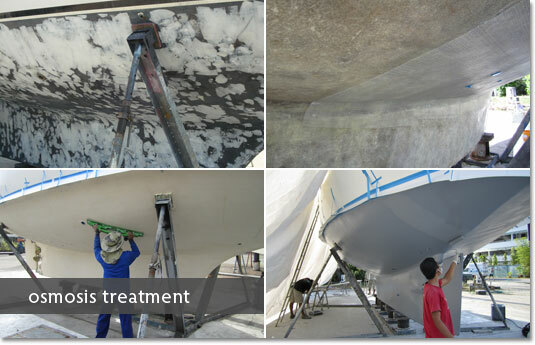 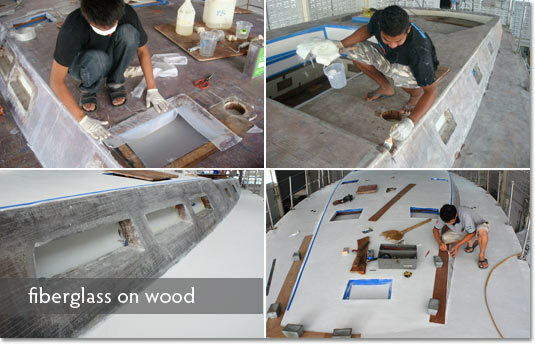 Using the best marine products available Precision can repair or modify your vessel to a standard that will be as strong as, if not stronger than the original structure. 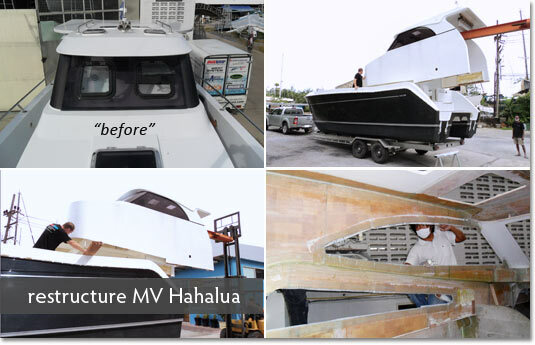 Collision and storm damage can be repaired by our expert craftsmen to blend in for an invisible repair. 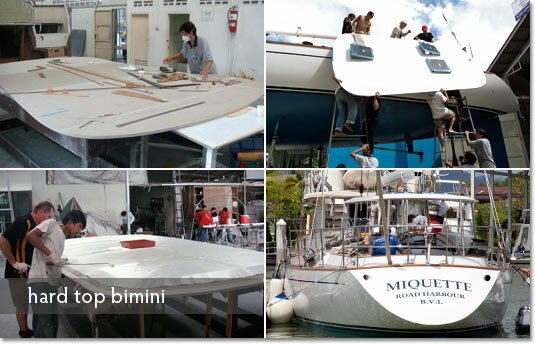 A new trend is to replace canvas spray dodgers & biminis with solid, light weight functional hard tops and dock houses. 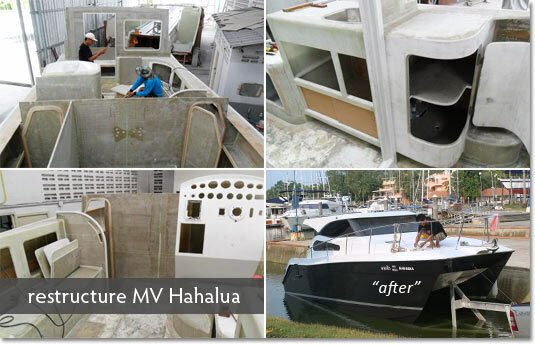 Precision can fit your vessel with a custom-built hard top or dock house, stylishly designed to a perfect match with the lines of your yacht.